need glue in most installations. scale wood look planks and stone look tiles and can help you create a look that works in almost any space. 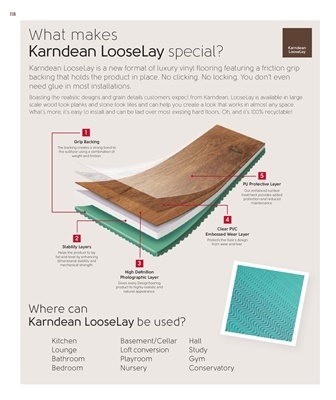 What’s more, it’s easy to install and can be laid over most existing hard floors. Oh, and it’s 100% recyclable!